CATHOLIC CHARISMATIC RENEWAL MOTTO – Victory in Jesus!! The Catholic Charismatic Renewal (CCR) began at a retreat for college students at Duquesne University in Pittsburgh, Pennsylvania (USA) in February 1967. The students had spent much of the weekend in prayer, asking God to allow them to experience the grace of both baptism and confirmation. The students, that weekend, had a powerful and transforming experience of God, which came to be known as ‘baptism in the Spirit’. The account of the weekend and the experience of the Spirit quickly spread across the college campus, then to other campuses throughout the country. The Catholic Charismatic Renewal Movement (CCRM), which began in 1967, assists a counter-cultural stance. It focuses on conversion and transformation of life by having a deep experience of the Holy Spirit, namely baptism in the Holy Spirit. The CCRM is active in more than 235 nations and millions of people take part in its programs. The Charismatic Renewal Movement is an ecclesial movement within the Catholic Church, which focuses on the spiritual renewal of each individual Conversion and transformation of life, are the key to spiritual renewal, and millions of people have changed their lives through association with the Charismatic Renewal Movement. Thus, it becomes important to trace and study the role of the Charismatic Renewal Movement and to see what it does. 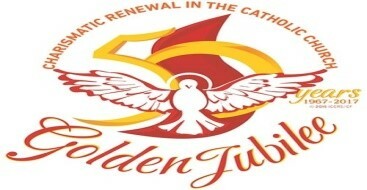 2017 being the year of Catholic Charismatic Renewal Golden Jubilee celebration, The Holy Father reflected upon how in the past 50 years many things have changed in the Church. He spoke specifically about the ecumenical journey. Pope Francis emphasized that the Holy Spirit has been leading us for many years towards unity. He emphasized that the Great Jubilee of CCR, at Pentecost 2017, must be ecumenical, a time for all Christians, not just for Catholic Charismatics. So we need to gather and include all Christians who want to join us. Reassuringly, the Holy Father said that he will be with us, that this is a time when God is preparing something very great. At St Joseph’s Theological Institute, the CCR was born in 2006. 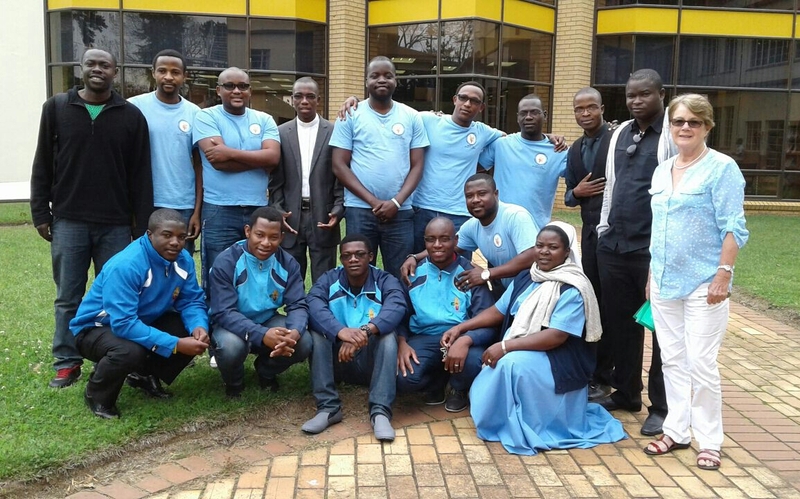 It was started by a small group of students from various Religious Communities, who sat down and decided to enkindle the fire what has been already part of their countries of origin. These pioneers asked for the permission to the relevant authorities to start the movement and the permission was granted. These pioneers started their worship in the STJI Auditorium at first and later on moved to the STJI Studio. This is how the CCR Movement came to be born here at SJTI and up to this day, we have an unstable number of members from different communities represented here at St Joseph’s Institute who are contributing to the growth of the group through their dedication and hard work in various ways. Today the members of this movement conduct their prayers in philosophy 3 class. Leaders of Charismatic prayer groups encourage people to use the charisma of the Holy Spirit for the good of the community. In contrast with the structured liturgical celebrations of the Church, Charismatic prayer meetings are very flexible. .People having different charisma of the Holy Spirit can freely use them. Usually during the prayer meetings or retreats, people having charisma of healing or prophecy exercise these charismas. This feature of the prayer groups makes it very attractive. CCR intends to hold prayer meetings which aim at providing a spirit-filled atmosphere for bible sharing and reflections, prayers and testimonies etc. CCR intends to create confidence towards actualizing individual gifts for the Body of Christ in its members. CCR helps people to yield to the action of the Holy Spirit in their lives, and in the service of others, hence, good leadership skills is part of its target. CCR organize seminars, revivals, and crusades with the permission of the Institute for the spiritual transformation of all towards growing in faith and holiness. CCR encourages prayerful visitation of the sick and the less privileged, etc. CCR praise God through, Worship, Praises, Attitude, and Exhortations etc. for the common growth of all as a community in the Body of Christ. Each member should show his or her interests by filling in a registration form and being able to give considerable attention to his or her studies as well as attending the fellowships regularly. Old or new members are considered equal in all aspects and their participation in the life of the Movement growth is strongly encouraged and expected. Leadership should be informed of any withdrawals or transferring of the members. Outgoing members are entitled to a group farewell prayer and handing of a certificate of membership. Coordination of the Prayer meetings or fellowships should be allocated to individuals either rotationally, voluntarily or by appointment (General Responsibility). Day of Prayer Meetings: Friday. Venue: Philosophy 3 class (Any changes of the venues will be announced before Friday through the Publication Coordinator). Intercessory Prayer/ Testimonies /Learning Worship songs etc.